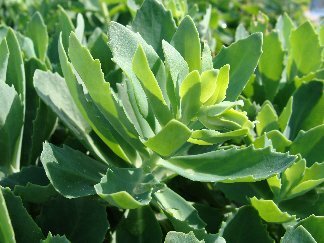 Sedum (Stonecrop) is a perennial plant with thick, succulent leaves, fleshy stems, and clusters of star-shaped flowers. There are few plants more forgiving of sun and bad soil than sedum plants. Growing sedum is easy, so easy that most anyone can excel at it. With a large number of sedum varieties to choose from, you will find one that works for your garden. As far as flowers go, sedum blooms are extremely multipurpose. There are so many varieties and species that you can easily find one for each growing season and always have one in bloom. This is great for pollinators, as they love to feed on sedum blooms. Sedums also add vibrant color during otherwise drab seasons. On taller blooming varieties, you can leave old bloom stocks on the plant to add some winter interest to the garden. Just be sure to remove any old growth early in the spring before new growth emerges. 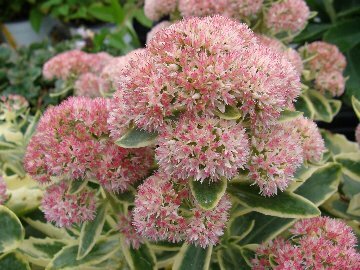 The many varieties of sedum plants make them suitable for almost all types of garden designs. 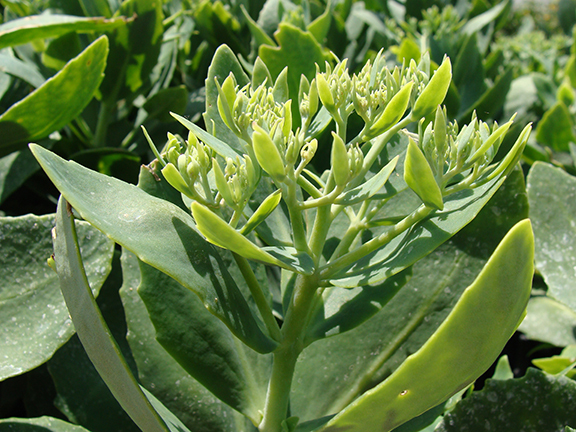 There are two main types of sedum—creeping and upright. The creeping varieties of sedum make great groundcovers in rock gardens and through cracks in walls. Many creeping types of sedum will root wherever they touch ground, and they can easily fill a space. Upright sedums form tight clumps of foliage and don’t spread. Use low–growing sedum varieties as ground covers and in rock gardens, and taller varieties for back borders. Sedums are hardy, easy to care for, and they make great cut flowers, too. 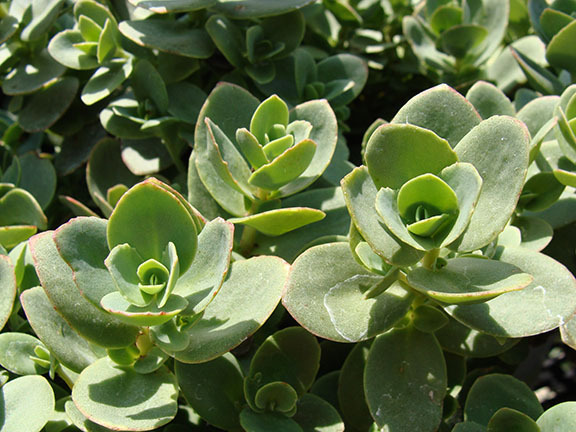 Plant sedum seeds in early spring in well-drained, average to rich soil. Space plants between 6 inches and 2 feet apart, depending on the variety. Low-growing and vigorous species will tolerate partial shade, but most sedum plants do best in full sun. You can also plant divisions or cuttings instead of seeds. For shorter varieties, simply laying the sedum on the ground where you want it to grow is normally enough to get the sedum plant started there. They will send out roots from wherever the stem is touching the ground and root itself. If you would like to further ensure that the plant will start there, you can add a very thin covering of soil over the plant. For taller sedum varieties, you can break off one of the stems and push it into the ground where you would like to grow it. The stem will root very easily and a new plant will be established in a season or two. Once established, sedum plants require little care. They need no additional water or fertilizer. Overwatering and over fertilizing can hurt the plants far worse than not watering or fertilizing. Check your plants regularly and water only if the soil is dry. After flowering, cut back the plants to maintain their shape or contain them in one area. Remember to divide your plants in the spring or fall to control their spread. Throughout the summer, divisions and cuttings will root readily.